Last week we took a little trip to Northern Utah. We started at Bear Lake, which is often referred to as the “Caribbean of the Rockies.” The lake water is a bright turquoise blue! It really looks like you are at a tropical beach! I’ve never seen a lake like it! 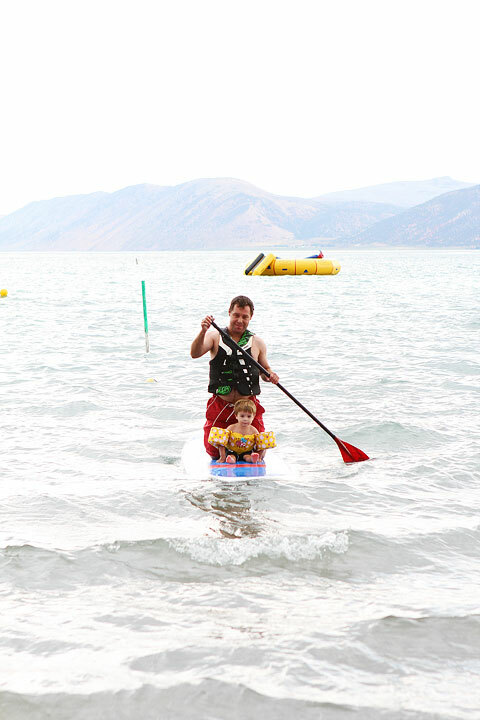 Josh and Caleb rented a paddle board and went out into the lake. I stayed behind and watched my adventurous guys. A dark cloud rolled in so the waves got a little choppy, but the guys had fun! 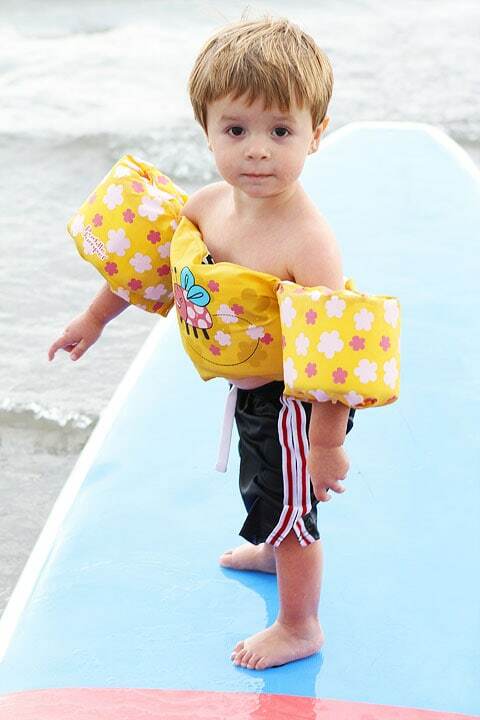 Caleb wanted to ride the waves! 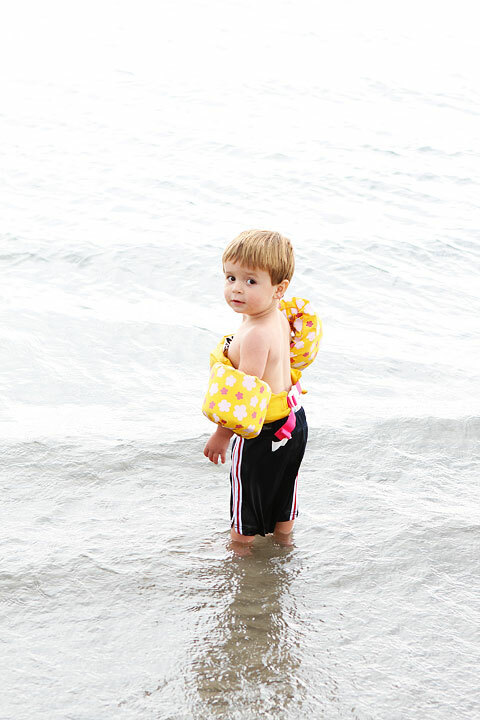 Caleb loved playing at the beach. He played in the sand, chased birds, and went for a little dip. After our beach visit, we stopped to get Bear Lake’s famous raspberry shakes. When you visit Bear Lake raspberry shakes are a must! 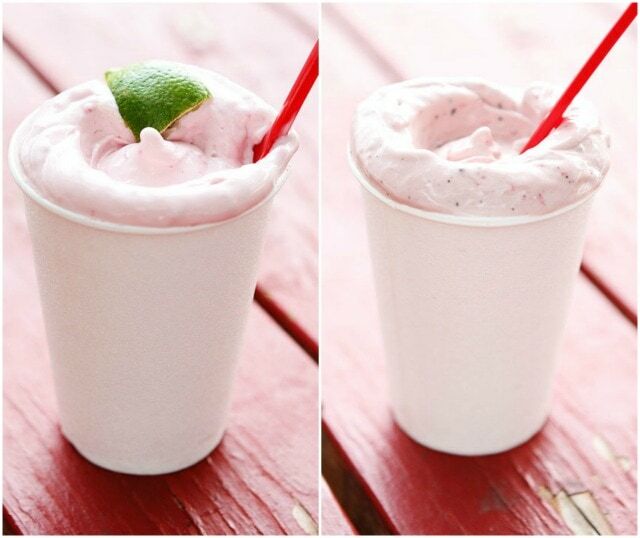 His and her shakes. Josh got raspberry lime and I got raspberry brownie. Both shakes were divine! We drove back to Logan, Utah to spend the night. We went out to dinner at Le Nonne, a cute Italian restaurant that is in a house. 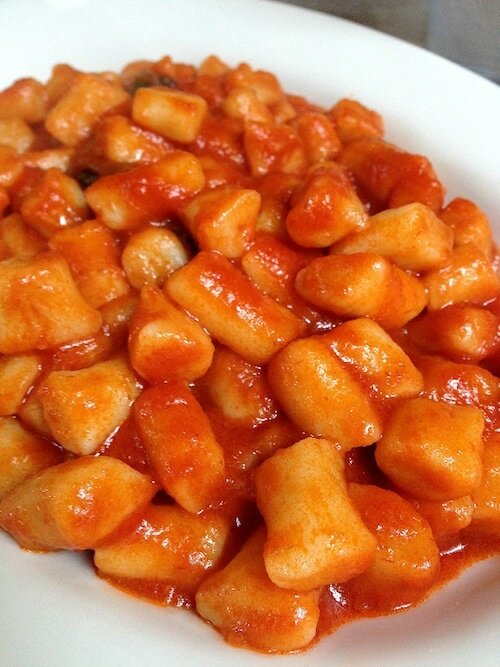 I ordered the homemade gnocchi with pomodoro sauce and it was perfect! 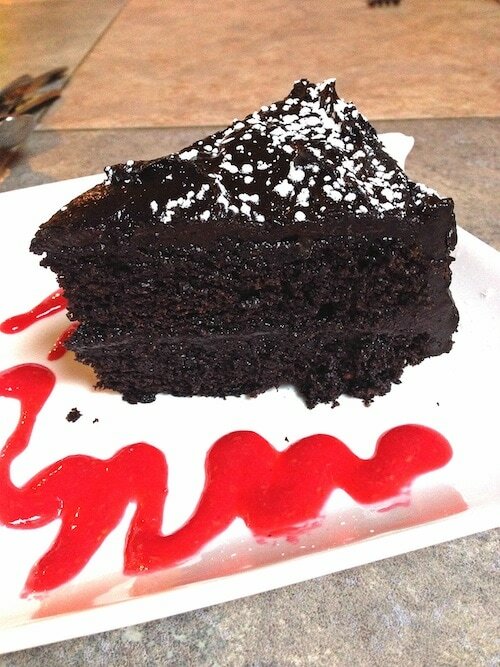 For dessert, I was blown away by the chocolate cake. It’s the best chocolate cake I’ve had in a long time and guess what? It’s vegan! 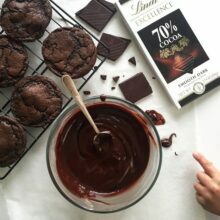 I have to find out a way to get this recipe. I need it in my life on a regular basis. 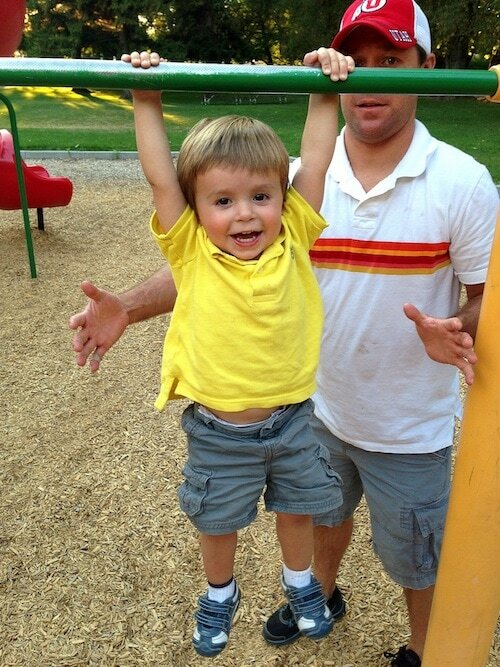 After dinner, we found a park to play and work off our cake:) Cale enjoyed hanging around! The next day, we went to breakfast at Herm’s Inn. It was just voted one of the best breakfast places in Utah by KSL, so we knew we had to check it out. The restaurant is located in the old Herm’s Inn building, that was built in 1900 and recently restored. The space is so cool. We loved the atmosphere…and the food! 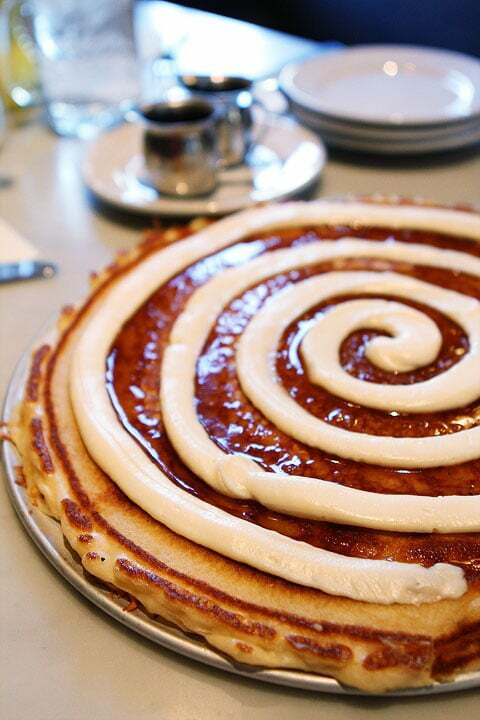 We started with the famous cinnamon roll pancake. Caleb said it best, “that is a HUGE pancake!” They start with a classic buttermilk batter and swirl in caramel as it bakes. They add a cream cheese swirl to the top. Breakfast for dessert? Always a good idea, especially on vacation:) Talk about a treat! I am a French toast gal, so we ordered one slice of the French toast. I love that they let you order small orders so you can sample more things on the menu. Trust me, you will want to try everything! And the small orders really aren’t that small, so you won’t leave hungry. I promise! 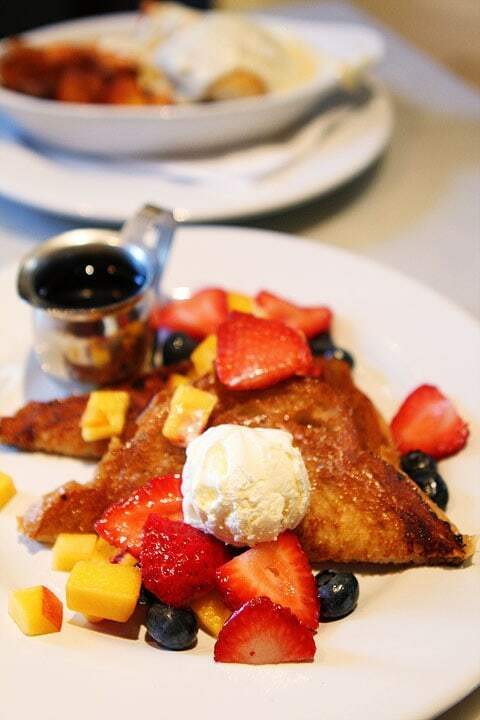 The French toast is marinated in egg batter overnight, caramelized, and served with lemon butter and fruit. I loved the sweet crust on the French toast and that lemon butter is amazing! It looks like a small scoop of ice cream, but it is even better! If you are ever in Logan, you have to visit Herm’s Inn. The service, ambiance, and food is perfection! We loved every bite! We already want to go back. Wee need to try their lunch menu and we are up for another amazing breakfast. Herm’s Inn knows how to do it! 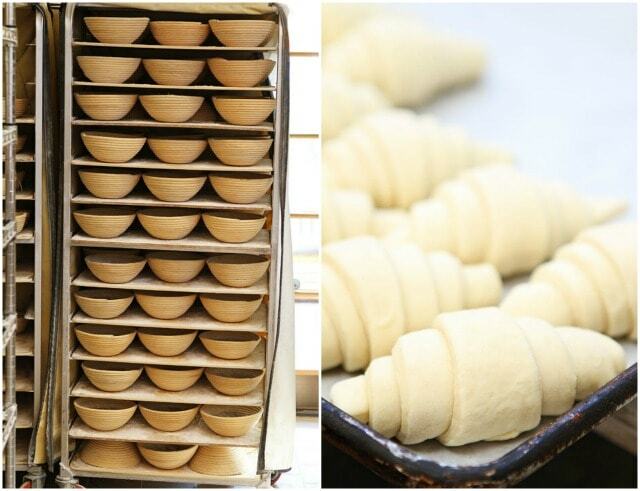 After breakfast, we went on a bakery tour at Crumb Brothers Artisan Bread. Crumb Brothers sells their bread and pastries at the Salt Lake Farmers Market and to several places in Salt Lake, so we are very familiar with their products. It was fun to get a tour of the bakery and see where the magic happens. They were making croissants while we were taking our tour. They looked perfect! And I was jealous of the gigantic bread ovens. I wanted to move in! We were still full from breakfast but we grabbed a few treats for the road. 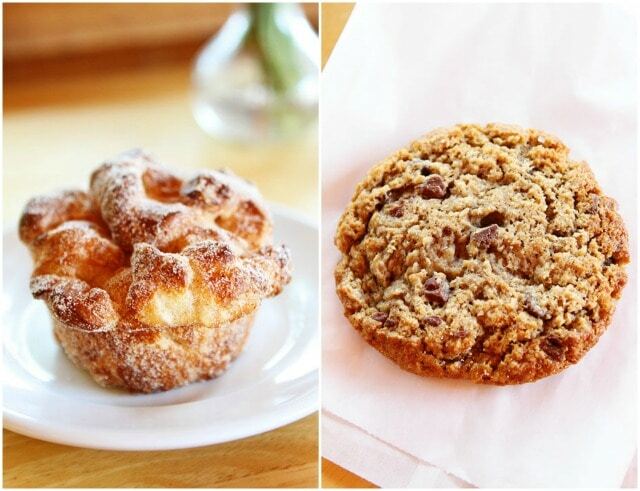 You can’t go wrong with their Cinnamon Pull Apart and Oatmeal Chocolate Chunk Cookie. Next, we visited the American West Heritage Center. It was the perfect place to let Caleb run around and the view was gorgeous! 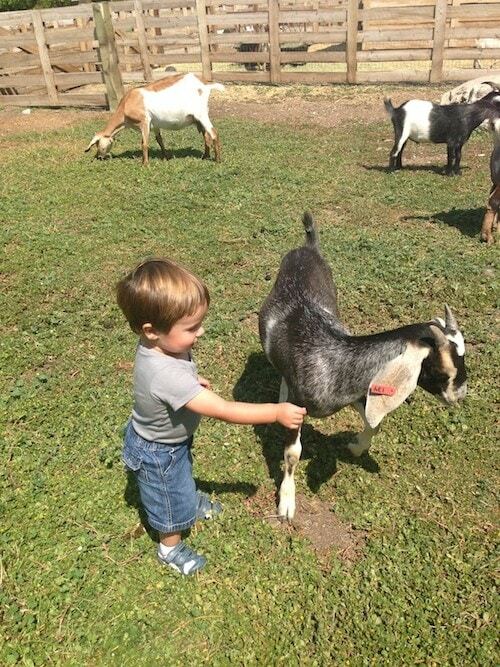 Caleb loved chasing the goats. 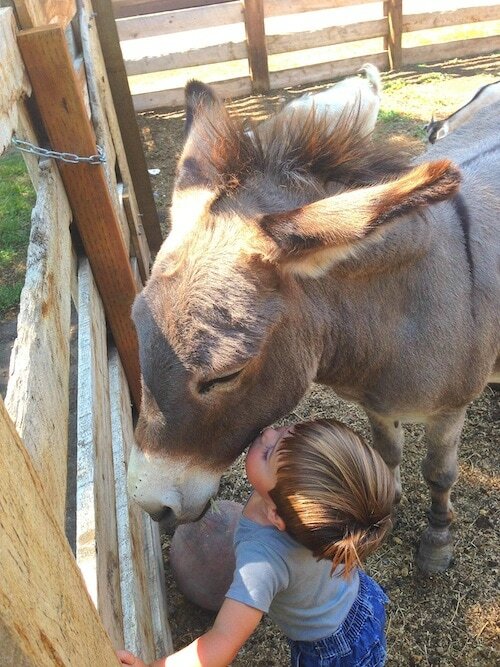 He also gave the donkey a big smooch! Silly kiddo! 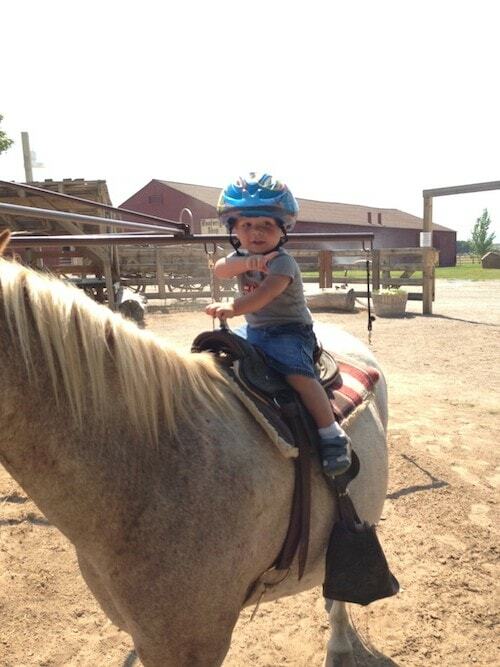 And the highlight of the day, Caleb went on his first horse ride. When he got off the horse he said, Caleb Cowboy! Ha! On our way home we stopped in Brigham City to check out the Bear River Bird Refuge. Caleb loves birdies. 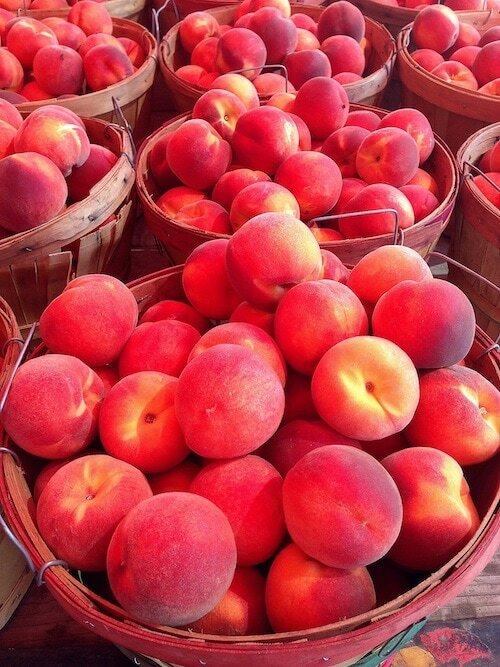 We also had to pick up some of Brigham City’s famous peaches. They are the best! We really enjoyed our trip up north. Thanks to the Utah Office of Tourism for organizing such a fun trip for us! We can’t wait to visit northern Utah again. There is so much more to see! We are lucky we live in such a beautiful state. Interested in visiting Utah? Check out Visit Utah. Just out of honest curiosity, but do you guys ever pay for your trips or take a trip that isn’t sponsored? It seems like you always have free trips, and most of us out there have to pay for our own! I don’t mean this in a negative way, but I just am truly curious. Caleb is so cute! Hi-we’ve been fortunate to travel a lot for business, but of course we pay for our own trips too. We hope you enjoy reading about our travels! Thanks! We lived in logan for almost 8 years. It’s so beautiful up there. Bear Lake & Raspberry shakes are the best! I need to try Le Nonne & Herm’s Inn. And I have never actually been inside Crumb Brothers. Looks like I need to plan a trip back asap! Thanks for sharing! You are welcome! We had a great time! Having grown up in Northern Utah and visited some of these places many times, I must say I’m homesick! I get the opportunity to go visit a couple of times per year. There are a couple of wonderful places you missed on this trip but you must go to on your next one. Gossners Cheese is one of the best dairies you will find in the area. They have a small retail store right by the factory. You have to let Caleb try squeaky cheese curds. They are really fun to eat. Then there is the famous Aggie Ice Cream, made by Utah State University. They have the most amazing flavors and they even have tours. You have to try the Aggie Blue Mint, Aggie Bull Tracks or the Lemon Custard. YUM! In the winter you need to go to Hardware Ranch and see them feed the animals. It’s a great way to spend a winter day. I’m happy to see you found Crumb Brothers. Their bread is very delicious. 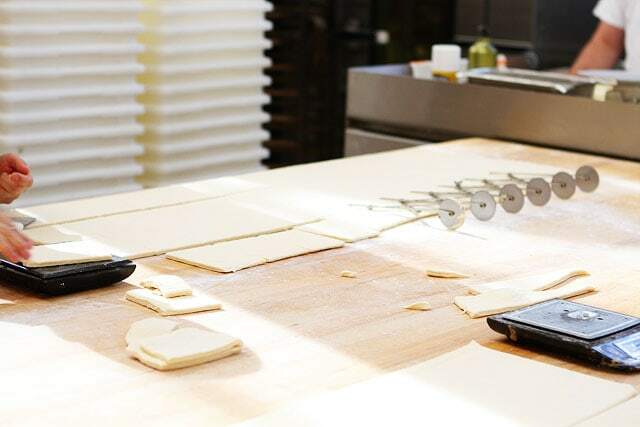 You can taste the love for the craft in everything they bake. Oh and the memories I have with Brigham City peaches. Simply the best! Is there a peach recipe coming soon? Thanks for all of the suggestions. We wish we had more time. We can’t wait to go back! I’ve always wanted to go to Bear Lake and that pancake looks amazing! Caleb is too cute. Glad you guys had fun. Thanks for sharing your travel adventures with us. Adding Utah to our list! What a fun weekend! That cinnamon roll pancakes looks amazing. As does the raspberry brownie shake. 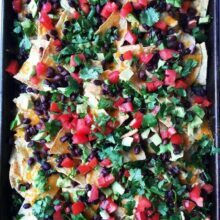 I am going to have to recreate that one in my own kitchen soon. What a fun trip! I love Bear Lake (and the famous raspberry shakes!) but haven’t been in years! This blog post makes me want to go back soon! 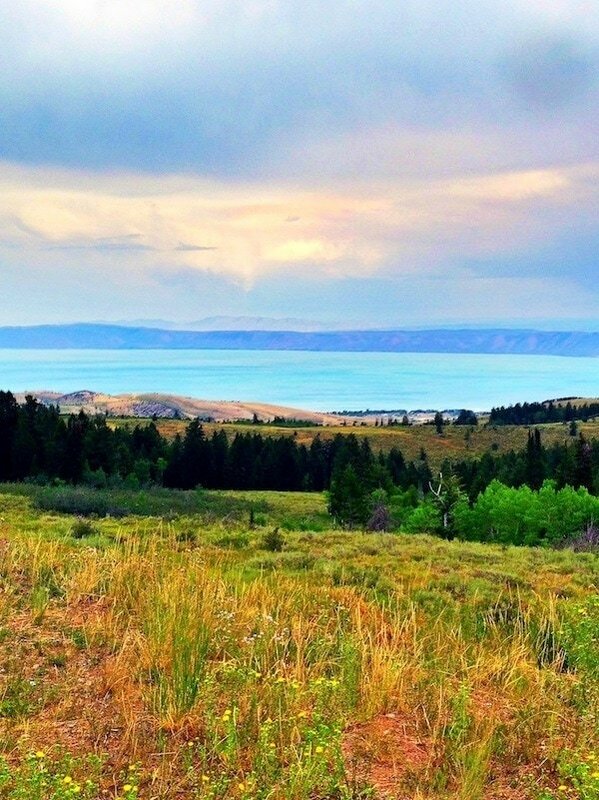 I lived in southwestern Wyoming last summer and whenever I needed a break I would drive down to Bear Lake! Did the water seem incredibly warm to you guys too? Every time I went it felt like a bathtub. The only time I drove to Logan I also ended up at La Nonne and has the homemade gnocchi, but I ended up trying it with one of their cream sauces. It really was amazing! So glad you guys had a great time! Oh my, the raspberry brownie shake looks perfect! I never had a raspberry shake, I think we’re about to change that now. I love Bear Lake – we visit from the Idaho side. And Bear River Migratory Bird Refuge is an amazing place to see such a great variety of shorebirds!! 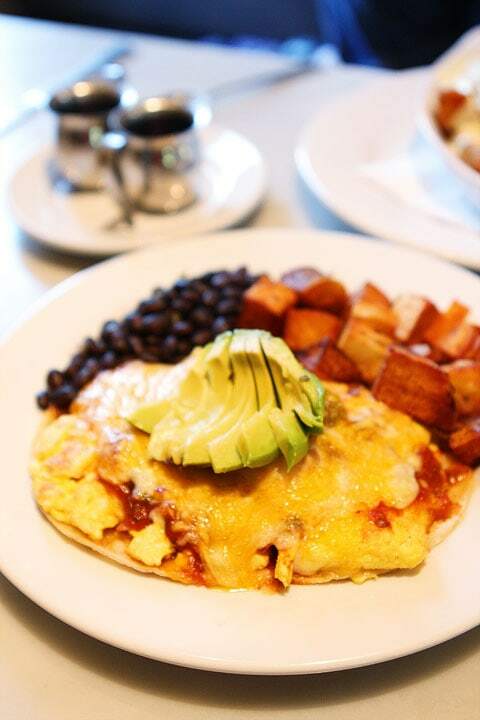 Thanks for the post – I’m looking forward to breakfast when I visit next!! Looks like you had a great time. I’m going to have drive to Logan and try those pancakes. 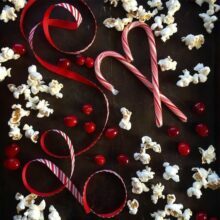 just adore your blogs, the way you write, the cohesiveness of your family. It is the one and only blog I read. You inspire me to cook and travel. You go girl!! Thank you! this looks like the sweetest family vacation! I’m so happy that you guys had a great time! Oh for the love! I have got to go back up to Logan! Next time you’re up there you should check out the creamery! USU has some killer ice cream! Also, Gosners is well known for their delish cheese and milk! 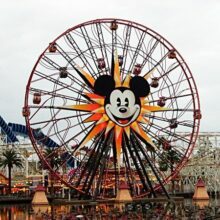 I am going to have to take a trip up there for my birthday and visit over Labor Day! I can’t believe how long it’s been! What a fun trip! 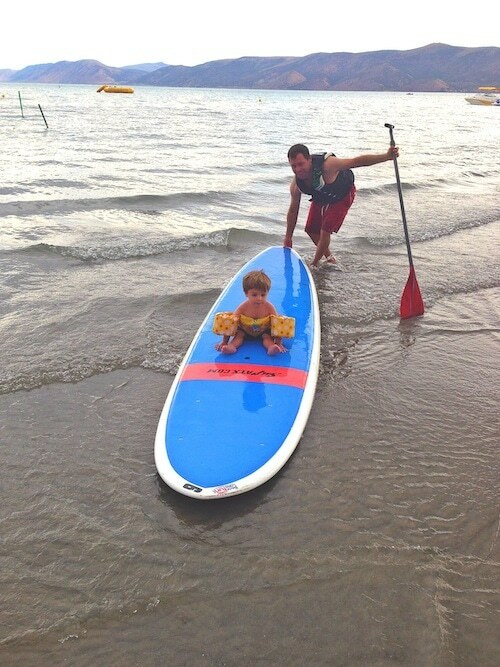 I can’t believe Caleb was able to brave the water. It is way too cold for me. 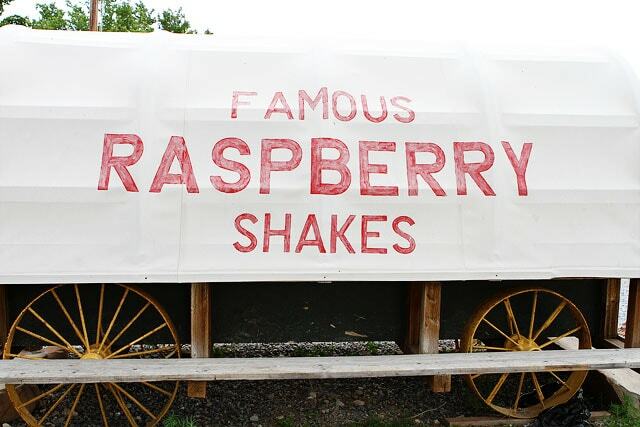 The raspberry shakes–hands down the reason to go there. 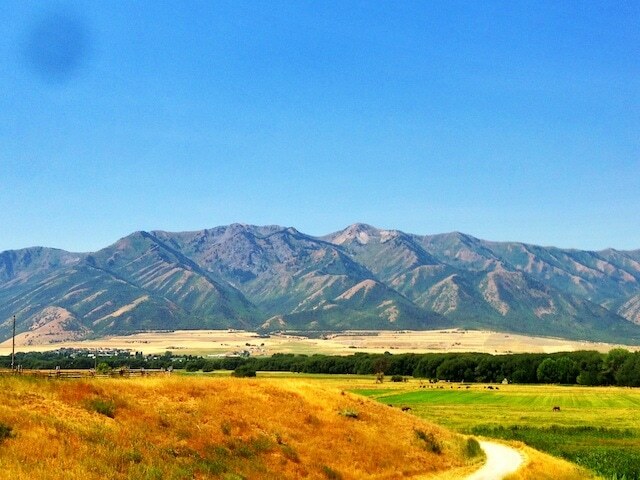 We love Northern Utah. So pretty. Mmmmm. My son and I just had a back to school lunch date at Herm’s. One of our favorites! So glad that you all had a great time. It looks absolutely breathtaking there! And that pancake is EPIC!! !